Invented by a teacher. Used in schools. Help your children to build a strong foundation in maths. No pains, as children will strengthen their basic maths skills while playing the games. Enhance social skill through playing with friends. Eduplay. I have this game if you’re still interested. I realy like this game and I would like to know if I can buy it. I live in Denmark. How much is it. 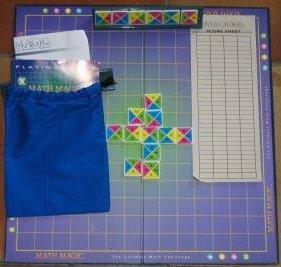 I don&apos;t know where to buy the Math Magic. Could you help me ?